Andreas Schreiner graduated from the University Erlangen, Germany in 1996 in Chemical Engineering. After a Ph.D. and a scholarship at the University College London he joint Roche Vitamins as Head of Solids Processing; since 2006 Andreas Schreiner worked for Novartis in various departments with increasing responsibilities from project leader to global technology platform leader; currently he is heading the validation activities for pharmaceutical production of solid dosage forms.Since 2013 he works for the Manufacturing Science & Technology Department as Validation Head for Solid Dosage Forms. 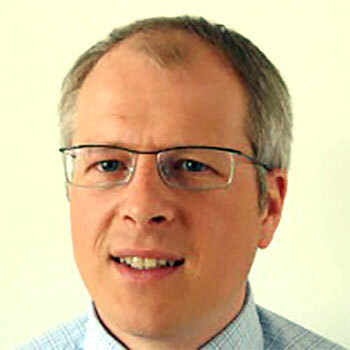 Andreas Schreiner is appointed board member at various scientific organisations (Executive Board of European Federation of Chemical Engineers (EFCE), Swiss Society for Process Engineers (SGVC), Industrial Society for Pharmaceutical Engineering (ISPE), Swiss Laboratory of Material Science and Technology (EMPA)). Since 2013 he works for the Manufacturing Science & Technology Department as Validation Head for Solid Dosage Forms. CASE STUDY: Cleaning Validation as one driver to prevent cross-contamination.